Perfectly pink in every way this stunning rose bouquet will have them blushing with pure happiness and absolute delight! 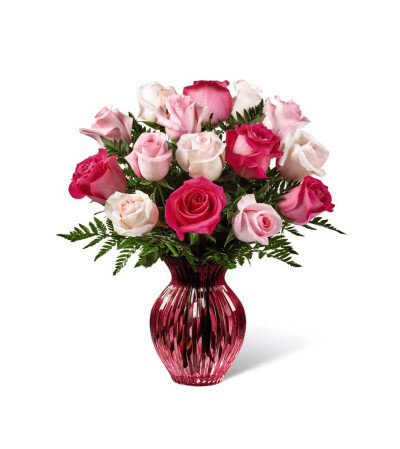 An assortment of pink roses, from the palest pink to the brightest fuchsia hue, are arranged with an eye for color and drama within a blushing keepsake berry pink glass vase. 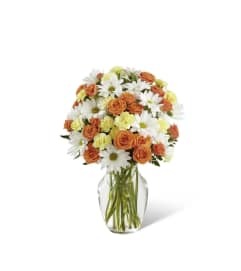 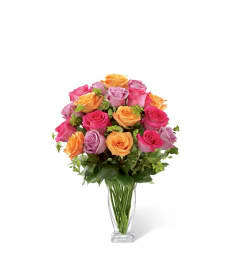 A message of love and gratitude from your heart to theirs, this rose bouquet is set to create an excellent Mother's Day, thank you, or thinking of you gift!